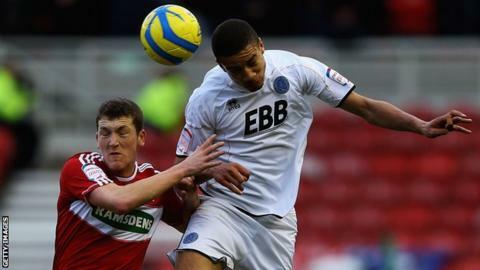 Cheltenham Town have agreed to sign central defender Michael Hector on a month-long loan from Reading. The paperwork for the deal is expected to be completed on Wednesday before the Royals' game with Chelsea. Hector, 20, joined Reading as a trainee in 2009 but has yet to make an appearance for his parent club. He came up against Cheltenham twice last season during his loan at Barnet, and has also enjoyed spells with Shrewsbury, Aldershot and Dundalk. "Michael has been on our radar for a while," manager Mark Yates told the club website. "We liked what we saw of him last season with Barnet and a good friend of mine, Ian Foster, recommended him as a decent defender from when he was at Dundalk. He is 6ft, quick, mobile and strong."